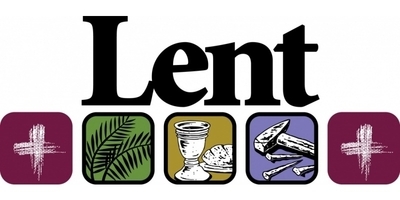 On Ash Wednesday we are invited to observe a holy Lent, “by self-examination and repentance; by prayer, fasting, and self-denial; and by reading and meditating on God’s holy Word (Book of Common Prayer, p. 265).” The following opportunities are available to help you observe a holy Lent. The Rite of Reconciliation is available throughout the year, but is especially commended during the season of Lent, when, in the early church, people “who, because of notorious sins, had been separated from the body of the faithful were reconciled by penitence and forgiveness…and were restored to the fellowship of the Church.” Rev. Brin or Rev. John will be available during Lent on Tuesday mornings from 9-10am for open office hours, or by appointment to hear confessions and to offer absolution. Contact Rev. Brin at brin@st-michaels.org or (512) 327-1474. We will gather in the Worship Space at 9am, Monday through Friday during Lent, to say Morning Prayer. All are welcome! Explore The Heart of Repentance and the Call of Discipleship in this 3-week series led by Rev. Brin and Rev. John, on Feb. 21, 28, and March 7. Dinner will be available in the Parish Hall from 6:15-6:45pm, and separate programs for children and adults will be offered from 6:45-7:45pm. If you can bring a pot of soup and/or some bread for our meal, please sign up with our Family Minister, Lesley Margerrison. Each day we will commit to reading a small section of the gospel of Mark and then will come together either on Sunday at 9am in the Parish Hall, or on Tuesday at noon in the Parish Hall to learn more about the gospel of Mark and to discuss the readings. Regardless of whether you come to one of the studies, you are invited to use this reading schedule to help with your own reading and meditation. Please contact Rev. Brin with any questions.